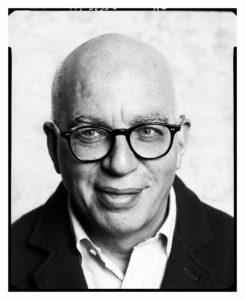 Vintage Español will publish the Spanish-language edition of Michael Wolff’s #1 bestseller, FUEGO Y FURIA: DENTRO DE LA CASA BLANCA DE TRUMP, in paperback and ebook on February 27 2018. A phenomenon for its sales and media impact, FIRE AND FURY: Inside Trump’s White House was published in English by Holt/Macmillan on January 5 and has broken records as the fastest selling nonfiction title in that company’s history. In FUEGO Y FURIA: DENTRO DE LA CASA BLANCA DE TRUMP, Wolff tells the inside story of the most controversial presidency of our time and details the chaos in the Oval Office around a volatile and polarizing president. Spanish-language rights were acquired by Vintage Español editorial director Cristóbal Pera from The Wylie Agency. FUEGO Y FURIA will be published at Vintage Español alongside recent and forthcoming titles that offer perspective on events and issues of our time that are particularly important to Spanish-speaking communities in the United States, titles including COLUSIÓN:Encuentros secretos, dinero sucio y cómo rusia ayudó a Trump a ganarlas elecciones, the #1 New York Timesbestseller by Luke Harding, and STRANGER: El desafio de un inmigrante latino en la era de Trump, a personal manifesto by award-winning journalist Jorge Ramos. Vintage Español was founded in 1994 to publish selected works of fiction and nonfiction in Spanish. Since then, it has expanded to become one of the largest Spanish-language publishers in the United States, offering a growing list of titles across a wide variety of genres, including, in addition to fiction, sports, spirituality, self-help, personal finance and cooking, to name a few. Our authors include Gabriel García Márquez, Roberto Bolaño, Ken Follett, Isabel Allende, Junot Díaz, Dr. Isabel Gomez-Bassols, Jorge Amado, and Cristina Garcia.